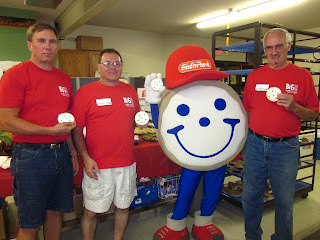 Team Smiley traveled to Greenford, OH this weekend to bring smiles to families at the Big Reach “Back to School” event. The 2012-2013 school year is quickly approaching, and we attended Big Reach’s event to help encourage students to pursue their education! 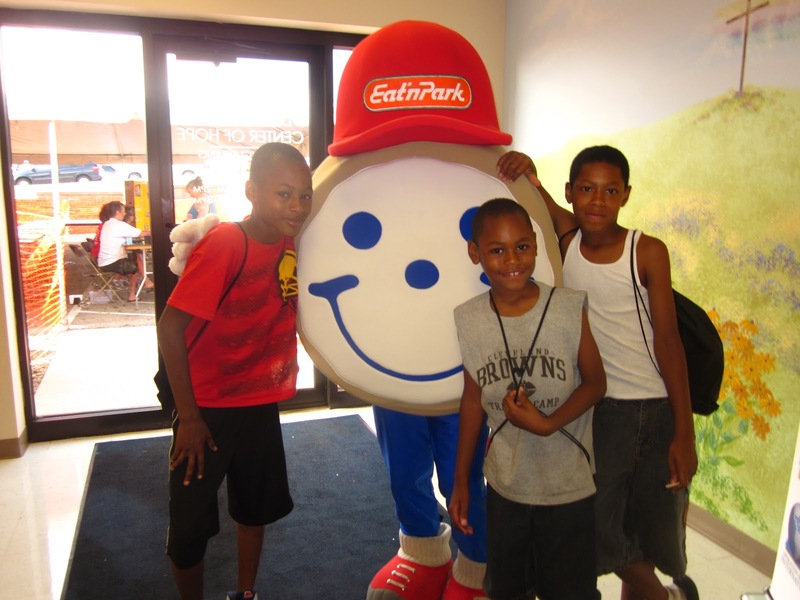 Smiley and a few new friends, all ready for school! Since Big Reach was founded in 2004, the organization has reached out to tens of thousands of underprivileged families, and has provided students with necessary school supplies, book bags, clothing, food, and health information. Big Reach even gives these children haircuts before their first day of school! Team Smiley was honored to return to this event, and to share smiles with all of the families impacted by Big Reach’s admirable efforts. We were truly humbled by the many volunteers who distributed these materials to families in need, as well as the incredibly modest students who were so grateful for these donations.